I’m fortunate enough to have a 32GB RAM for my current workstation which means it is overkill for most consumers. Yet I can still hit the ceiling really quick when running several Nuke instances. There are two options that control the amount of RAM that is allocated to Nuke namely the “cache memory usage” and “playback cache usage”. 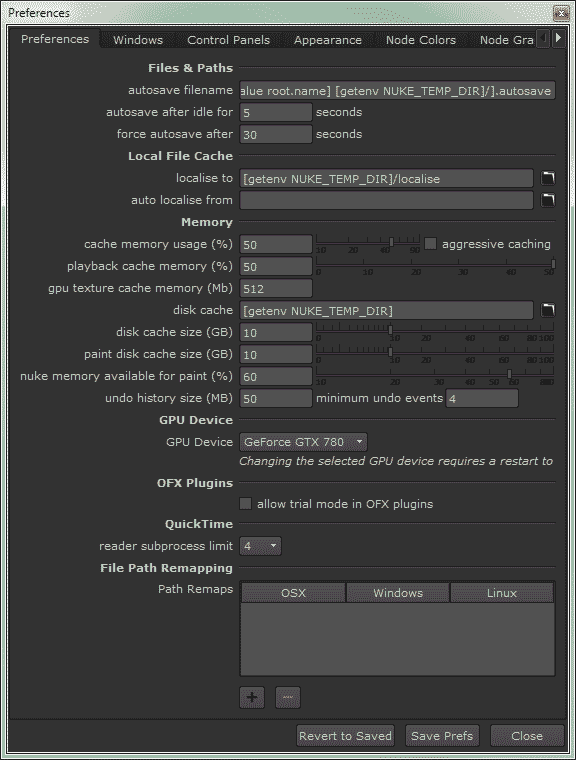 If you are running other heavy RAM application like Photoshop, Mari, Hiero etc, I recommend setting it to around 70% in total for both cache memory and playback cache. For example, you can configure to use 40% for cache memory and 30% for playback cache. This will leave at least 30% for the OS and other applications to use the RAM without eating up each other. If you rarely do roto job or requires a consistent playback speed when reviewing a shot (aka flipbook/playbast), I suggest lowering down the playback cache and give it to the cache memory instead. So What Else Should I Tweak? Well there is “aggressive caching” next to the cache memory although I don’t recommend enabling it as it will QUICKLY chew up all your remaining RAM. While the tooltip mentioned that it will help to improve rendering speed when in GUI mode, I still haven’t find a good example for it. Also it suggested that it should only be enabled if you have at least 8GB of system RAM and more. Lastly, if you have a video card with more than 1GB of VRAM, I suggest bumping up the GPU cache texture memory from the default 256MB to 512MB. It should improve responsiveness when you have a lot of textured 3D objects in OpenGL viewing mode.